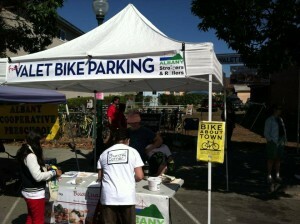 Solano Stroll Bicycle Valet Parking a Success! Albany Strollers & Rollers parked more bicycles at our free Bicycle Valet Parking station than ever — 331 — this year at the 39th annual Solano Avenue Stroll on September 8! 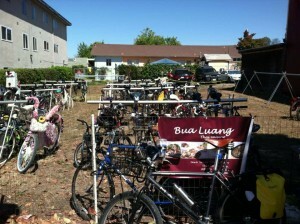 And more family bicycles than ever as well, with toddlers as young as 2 doing their share of keeping their parents’ wheels spinning. 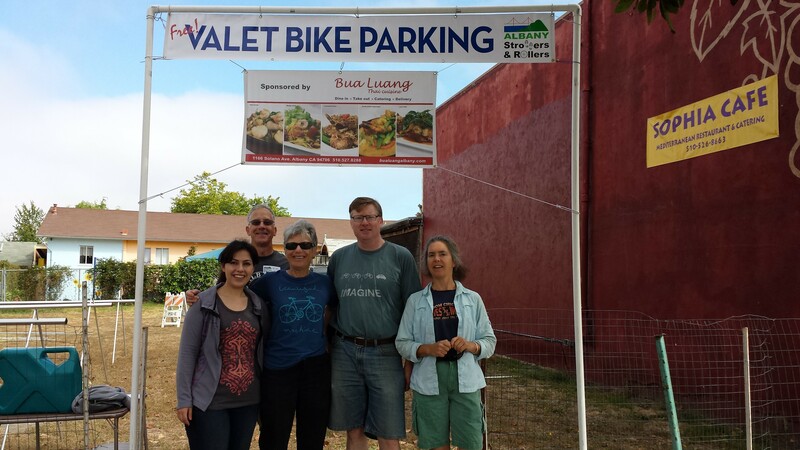 Support was provided by a team of 13 volunteers, including AS&R Core members Nick Pilch, Preston Jordan, Ken McCroskey, Sylvia Paull, and Angela Armendariz, as well as Anne Malamud, Mac McCurdy, Australian visitor students Sara Aziri and Nasser Saber, Alisha Saville, Rinda Wardle, Francesco Papalia and Dutch visitor Petra van der Wat (who happened to be walking by and was grabbed as a volunteer.) What a great team effort! 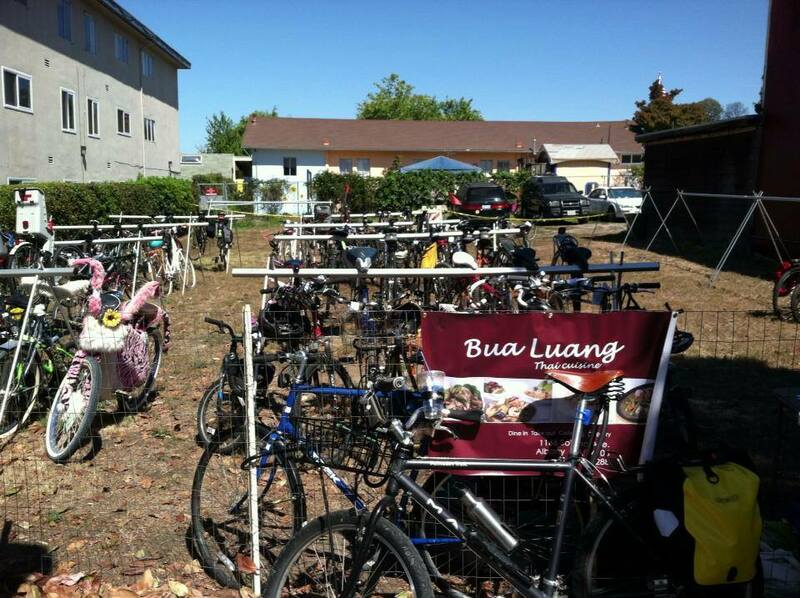 Thanks to Bua Luang for again sponsoring our BVP service & for providing tasty lunches for all the volunteers… and to Ken McCroskey for building the racks. 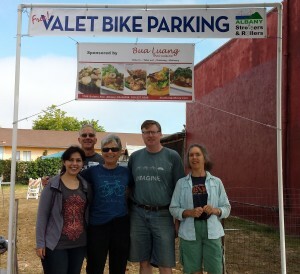 Volunteers Sara, Nick, Sylvia, Ken and Anne beneath the Bua Luang banner after a long & productive day of parking 300+ bikes!